CENTAURO Evaluation Camp at KHG, Karlsruhe. 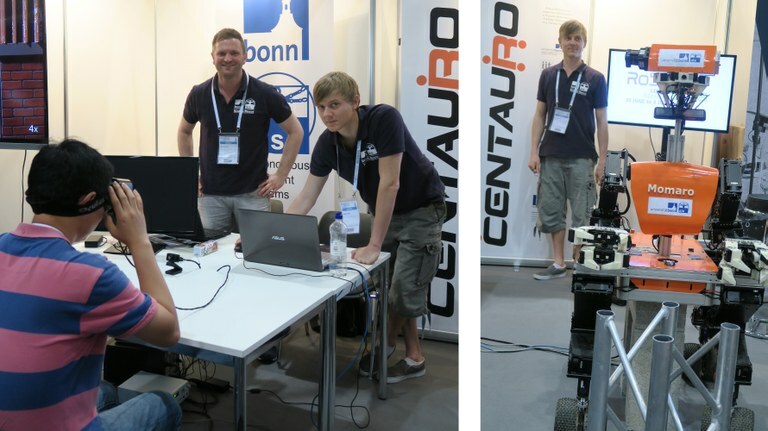 The CENTAURO project was presented June 30th-July 1st at RoboCup 2016, which took place at Leipziger Messe, at a joint booth with other European Projects. Visitors could try out HMD-based immersive telepresence in the mobile manipulation robot Momaro.